Dr. Wyrwoll is the lead researcher on the KFA supported 100,000 Years of Climate and Weather project. 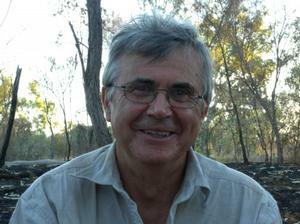 Karl-Heinz Wyrwoll is a geomorphologist and palaeoclimatologist based at the University of Western Australia. He has a Ph.D. from London University. Karl-Heinz has researched extensively in northern Australia, focusing on quaternary monsoon patterns, hydrology and aeolian processes. He has also collaborated regularly on research in China and North America, and publishes widely, including on aspects of climate change in the Kimberley.